When you visit our website, there’s certain information that’s recorded which is generally anonymous information and does not reveal your identity. If you’re logged into your account some of this information could be associated with your account. We collect personal information directly when you provide it to us, automatically as you navigate through our website. 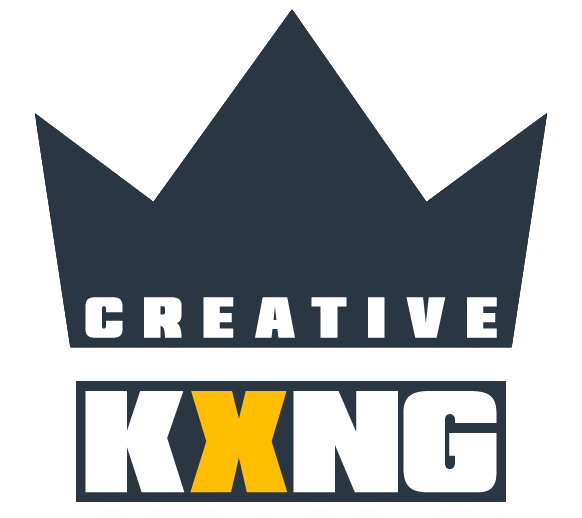 Creative KXNG may collect the following information from you such as: your name and job title, contact information including a email address, demographic information such as a postcode, preferences and interests or any other information relevant to customer surveys and/or offers. To fulfil a contract, or take steps linked to a contract: in particular, in facilitating and processing transactions that take place on our website. Providing you with marketing information about products and services which we feel may interest you. You can access some of the personal information that we collect about you by logging in to your account. You also have the right to make a request to access other personal information we hold about you and to request corrections of any errors in that data. You can also close the account you have with us at any time. To make an access or correction request, contact us. Your IP address or proxy server IP address. The website which referred you to us and the operating system which your computer uses. Occasionally, we will use third party advertising companies to serve ads based on prior visits to our site. For example, if you visit our website, you may later see an advertisement for our products and services when you visit a different website. Our website may contain links to other websites of interest. However, once you have used these links to leave our website, you should note that we do not have any control over that other website. If you believe that any information we are holding on you is incorrect or incomplete, please phone or email us as soon as possible at the above address. We will promptly correct any information found to be incorrect. By using this website, you signify your acceptance of this policy and terms of service. If you do not agree to this policy, please do not use our website. Your continued use of the site following the posting of changes to this policy will be deemed your acceptance of those changes.